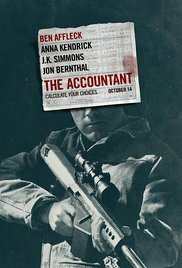 The Accountant is a surprise flick that combines the concept of money and numbers with guns and action. I can assume no accountant does the latter as mentioned but it was a good flick that kept me entertained with action and comedy. It's not a comedy movie but the way Ben Affleck's character is, there's a lot of dry humor. The rest of the cast did great and you'll be surprised at how good this is.